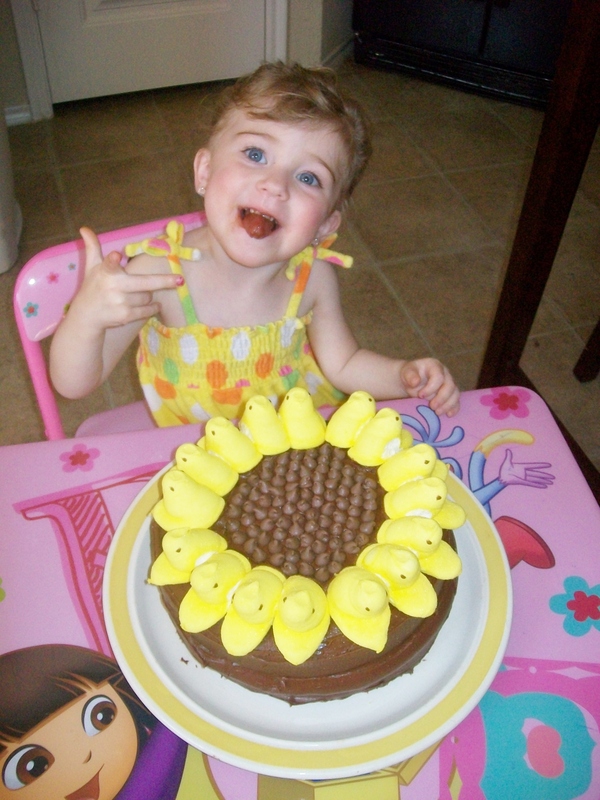 Oh how bright the sun shines when there’s a pretty little girl and a chocolate cake! I just couldn’t resist making this cake for our little “Boo”! It’s the first thing she and I have made together. 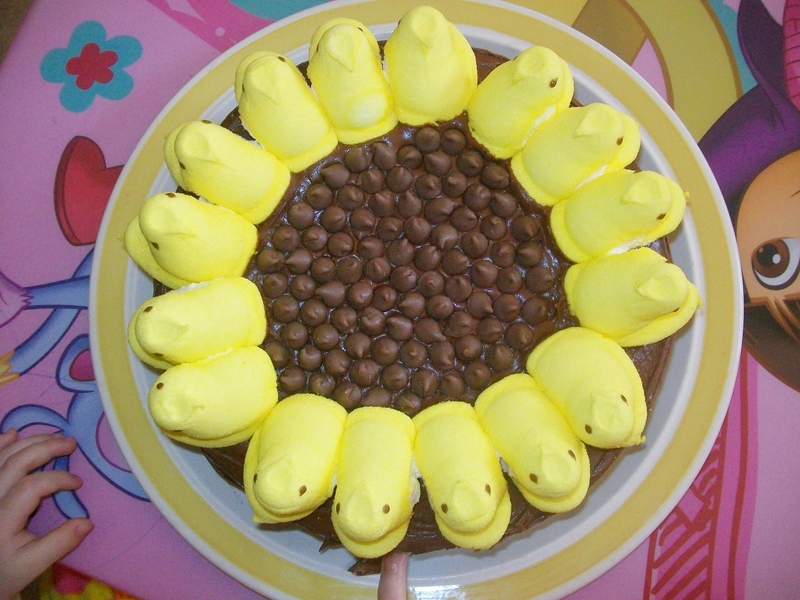 I made the cake layers. 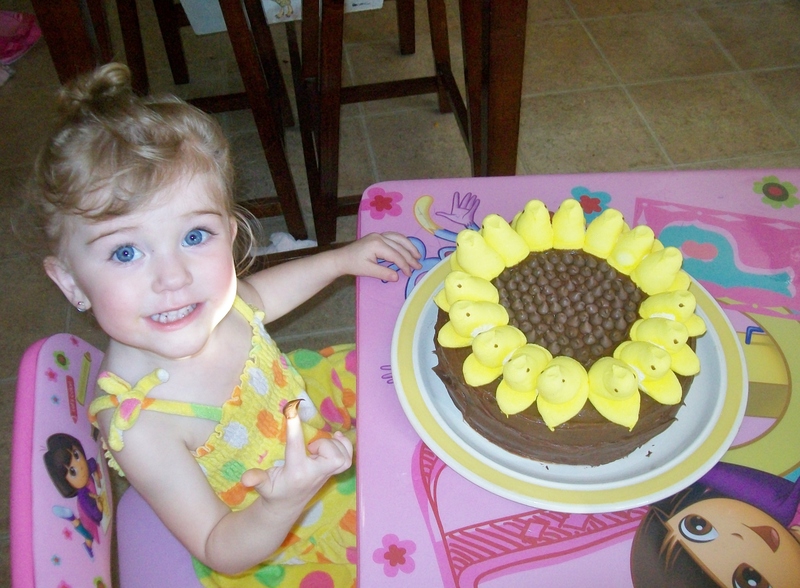 She “helped” me with the icing, tested the “Peeps”, and continued to “fix” the icing as I added the chocolate chips. 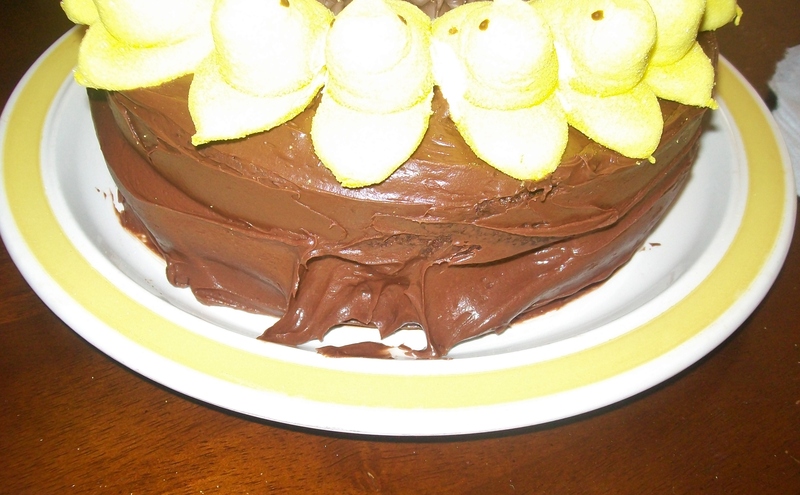 2000 calories and probably 5000 grams of sugar later, the cake was done! Whoops!? How did that happen?